At the 5th Invest in ME International ME Conference in London in May Invest in ME announced that we had entered into discussions with the University of East Anglia to instigate a research facility for ME. Discussions have continued since the conference and we have decided to publicise our attempt to set up this facility. Below is a summary of information relating to a proposal which has been formulated by an Invest in ME steering group which has been formed to instigate the setting up of this facility. People with ME need early and correct diagnosis, proper treatment and advice. The current status of services for people with ME and their families in the UK is poor with little knowledge of current biomedical research being applied and possible treatments not being made available to patients or healthcare staff. After five years of campaigning for awareness and promoting better education about ME it is felt that the best way to make progress is to establish a national centre of excellence for ME. The Invest in ME Steering Group (ISG) has been formed - consisting of carers of people with ME - to begin work on establishing a facility leading to a UK Centre of Excellence for Biomedical Research into ME. The ISG believe that a change needs to be made in the way service provision for ME patients is carried out and is suggesting a simple but effective structure for providing services and instituting major biomedical research into this disease which will have profound effects on the way ME is treated in the UK and establish a hub of scientific and clinical excellence for ME within Europe. 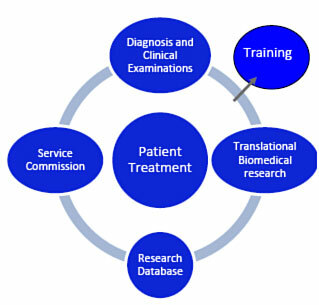 The ISG propose for a facility to be instigated with four main elements for diagnosis, treatment and research into ME – service commissioning, service provision with clinical diagnosis and examinations, translational biomedical research and a research database to allow for more research and improved training of healthcare staff. The proposal is located around the Norwich Research Park in Norfolk. This area contains world-class facilities with a leading university (the University of East Anglia (UEA)), leading research institutes and a modern flagship hospital (the Norfolk and Norwich University Hospital) - all of which complement the necessary biomedical research which would take place. Service commissioning would be performed by the local PCT. The service would require early and correct diagnosis, examination and treatment of ME using a clinical biomedical lead consultant with GPs with special interest being connected to the service. The examinations of people with ME would be commissioned by the PCT. Referrals to the university hospital would be via existing methods from GPs. An important issue is for early and correct diagnosis to be determined. The service would include a clinical biomedical lead consultant who would perform correct diagnosis (using the the correct and up-to-date diagnostic criteria), perform a full examination using a standard clinical protocol and, once patients have been formally diagnosed as having ME, administer possible treatments and participate in biomedical research into the disease. GPs in the area with a special interest in ME would be used to assist and be trained in diagnosis and treatment of ME. 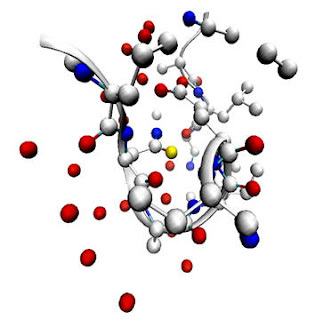 The university research would be used for more rapid provision of possible treatments for patients whilst at the same time building up the research database for ME and allowing fostering of new areas of cooperation with other biomedical research facilities. Our initial proposal for research which has been discussed with researchers at the UEA, would aim to initiate studies using TGAC sequencing facility at the Norwich Research Park which would allow all known and unknown viruses present to be identified in a cohort of well defined patients. These initial and ongoing projects would enable a database to be established for use in further research. This research database will assist epidemiological studies, enhance research potential and provide patients with proper records of treatment. This proposal would make use of the existing infrastructure where patients are initially seen by GPs and referred to a consultant. Where it differs is that a specialist biomedical clinical lead would be used to perform diagnosis and provide treatment and would be working with a translational biomedical research facility at the university in order to deliver real improvement in patient care from scientific discovery. The proper examination and treatment benefits patients, their families and the PCT by ensuring that adequate services are provisioned for people suffering from this disease. The hospital and associated staff will be able to be educated in the latest knowledge regarding this disease and would therefore be able to make better decisions. The research proposal would establish this as the most advanced facility in Europe, thus bring more potential for investment and publicity. Early and correct diagnosis of ME. The clinical lead consultant would assess and plan the development of future services in conjunction with commissioning PCTs. It would provide access to specialist assessment, diagnosis and advice on the clinical management, including symptom control and specific interventions, for both patients and health professionals. Eventual provision of an ambulatory service and/or tele-medical services for those severely ill patients who cannot be moved. Development of a network of local multi-agency domiciliary services to support people who are more severely affected and who are unable to access hospital and primary care services. Allow ME patients (including those severely affected) to participate in clinical trials, where novel research will be conducted, and where medical students can learn about this disease. Facilitate training and education opportunities for healthcare staff to enhance their knowledge and skills in the diagnosis and management of ME. Lead the development of services within primary and secondary care and support GPs and other health professionals in the care of patients with ME. Healthcare staff would feel more comfortable with the diagnosis of ME being made. Undertake comprehensive assessments and provide a care package for each patient to include carer and family support. Savings on existing consultant referrals and staff by concentrating ME examination in one area. The need for training in ME is one of the main areas of interest for the ISG. The proposed model would allow the GP network to have access to up to date information about ME including data on treatments and prognosis. Specialist advice for more complex cases across the country could be provided based on referrals from other PCTs. This in turn would complement the research database thus increasing knowledge and awareness of treatments. Models of care and appropriate care could be developed with packages for people with severe presentations. We would seek to establish additional biomedical research projects to be undertaken by the university which would increase the knowledge about the disease and facilitate development of treatments for patients. Invest in ME has European connections and links to other researchers and organisations in Europe, USA and Australia. They are founder members of the European ME Alliance and have established a Clinical Autoimmunity Working Group (CAWG) together with The Alison Hunter Memorial Foundation and in cooperation with Bond University and the University of East Anglia. The foundations are therefore already in place to advance science and provide the promise of better treatment and possible restoration of function and lives back to a section of the community who have received very little help in the past. See How to Help for ways to support the centre.